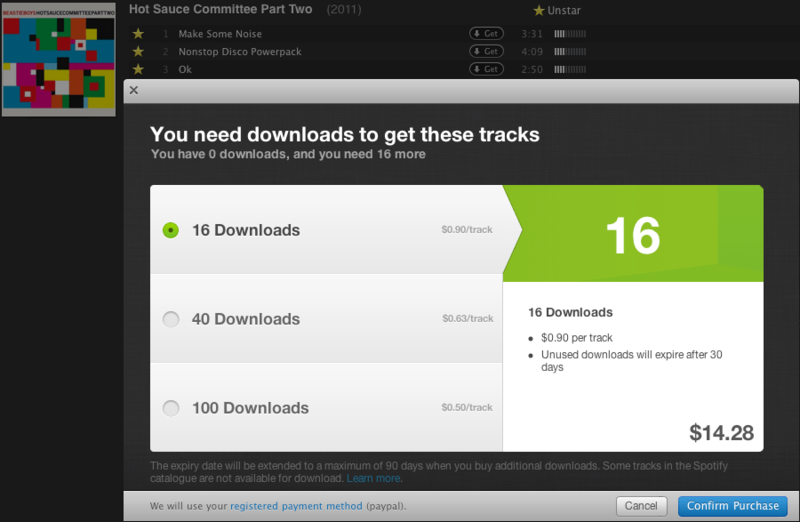 Spotify now offers users various packages for purchasing downloads of the tracks already streamable via the service. 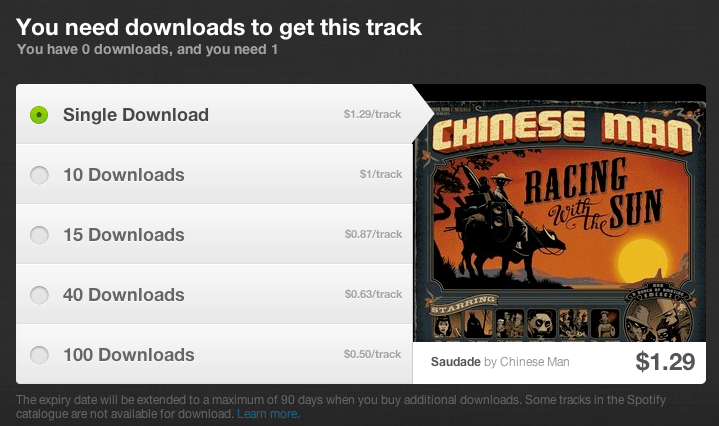 A single track goes for $1.29 cents a track but for $50 you can download 100 tracks (that’s 50 cents a pop). The one catch being that all credits expire after 30 days (extendable to 90 days depending on ensuing transactions). Each purchased download can be re-downloaded up to four times. 50 cents is a great deal for the savvy investor, however, many users are sure to get got by simply clicking “Get Album” on, say, the new Beastie Boys’ “Hot Sauce Committee Party Two” and pay $14.28 straight up for the 16 tracks. The downloads come via 7digital in 320 kbps format. Alternatively, the digital album goes for $7.99 at Amazon (320 kbps mp3), $10.99 on BeastieBoys.com (in multiple formats including lossless plus a bonus remix), and $14.99 at the iTunes store at 256 kbps AAC (incl. 30 minute Fight For Your Right Revisited video download). When it comes to this particular release — the choices are so varied it could be a toss up. 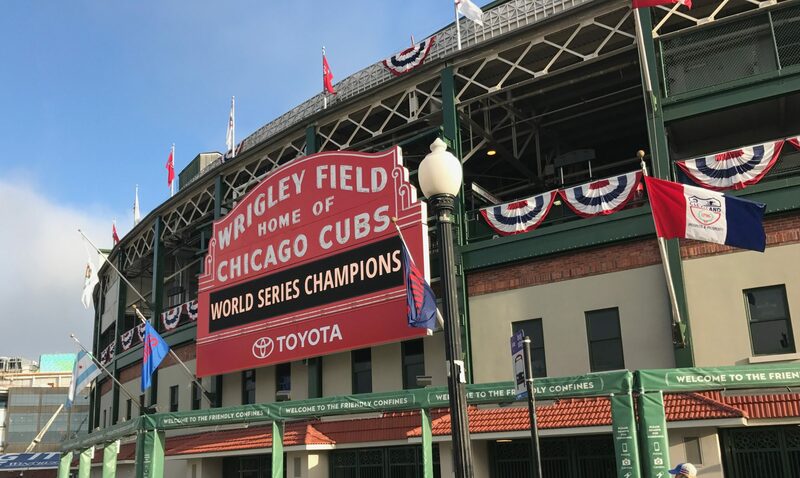 How would you go about purchasing the MP3 download? Last Friday Spotify rolled out an ambitious software upgrade, making its biggest charge yet in both monetizing its platform and putting the heat on Apple’s iTunes. Spotify announced the software update on its blog, Twitter, and elsewhere. The big news: Sweden-based streaming music application Spotify is now selling downloads: $1.29 for one; or purchase 15 downloads for $0.87 each, 40 at $0.63 per, or 100 downloads at $0.50/track. The mp3s are delivered via a partnership with UK-based 7digital.